Born in Stockholm in 1915, Swedish actress Ingrid Bergman started her career as an actress in Swedish and German films in the 1930s, and after that starred in a variety of European and American films. Bergman won three Academy Awards, two Emmy Awards, four Golden Globe Awards, a BAFTA Award, and the Tony Award for Best Actress. She is best remembered for her roles as Ilsa Lund in Casablanca (1942) and as Alicia Huberman in Notorious (1946), an Alfred Hitchcock thriller starring Cary Grant and Claude Rains. Bergman quickly became “the ideal of American womanhood” and a contender for Hollywood’s greatest leading actress. In the United States, she is considered to have brought a “Nordic freshness and vitality” to the screen, along with exceptional beauty and intelligence, and ranked as the fourth-greatest female screen legend of classic American cinema by the American Film Institute. Bergman died in 1982 on her 67th birthday, in London, of breast cancer. 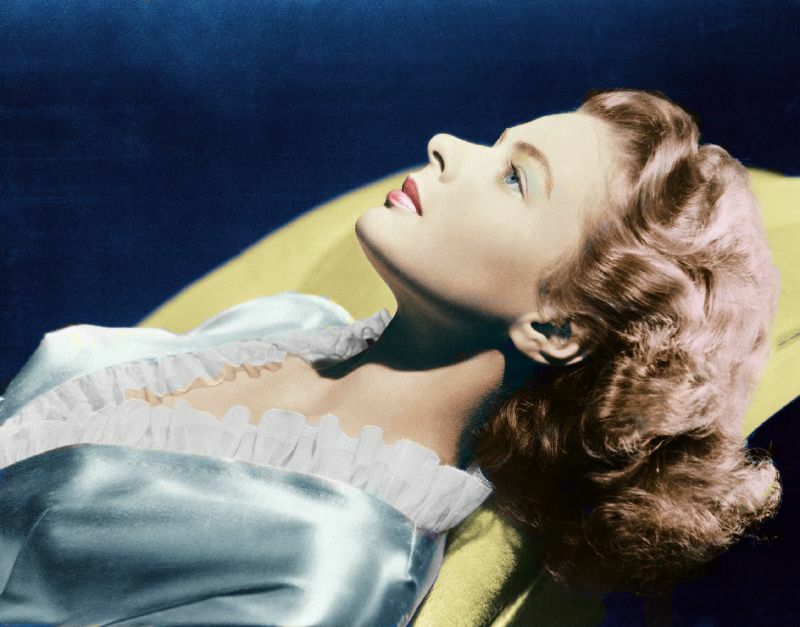 A color photo set of glamorous Ingrid Bergman from between the 1930s and 1950s.